Bug killer you can eat! BFA certified. 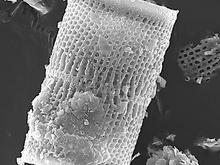 Diatomaceous Earth (often referred to as "DE") is an off white talc-like powder that is the fossilized remains of marine phytoplankton. When sprinkled on a bug that has an exoskeleton (such as bed bugs, ants or fleas) it compromises their waxy coating and kills them. But it doesn't hurt mammals. We can eat it. We do eat it! It's in lots of grain based foods because lots of grains are stored with diatomaceous earth to keep the bugs from eating the grain! 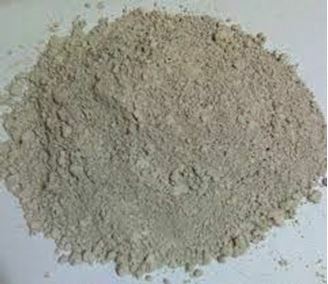 Use as a safe flea powder, as a dusting powder for cattle, horses, pets or poultry, in your garden, in your bed (bed bugs) or anywhere that insects are a pest. DE is almost pure silica (with some beneficial trace minerals); under a microscope, it looks like shards of glass (glass is made from silica). On any beetle-type insect that has a carapace, like fleas and cockroaches, the DE works under the shell and punctures the body, which then dehydrates and the insect dies. DE is totally nontoxic. There is no buildup of tolerance like there is to poisons because the method of killing is PHYSICAL, not chemical. DO be aware that Diatomaceous Earth kills all bugs. It has been reported to be the most effective solution when fighting pests like fleas, ants and bed bugs but it will also kill beneficial bugs so be aware of that when using. DON'T get it wet - this includes morning dew. If Diatomaceous Earth gets wet it will no longer be effective for insect control. Diatomaceous Earth is not a bait - DON'T expect to put it out in a little pile and then see insects swarming in. Diatomaceous Earth is non-toxic to humans but can irritate nose, nasal passages and eyes. It can also have a drying effect on the skin so DO be sensible when applying. DO not use Diatomaceous Earth that is sold for swimming pool filters - it is an entirely different product and quite toxic. Purchase in store in a variety of pack sizes or in 20kg bags. Please Contact Us for pricing, availability and bulk orders. 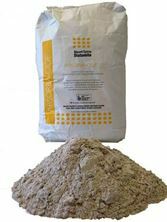 Absorbacide is a natural product registered with the Australian Veterinary and Pesticides Authority for use against insect pests of stored grain and registered as an allowable input for organic farmers by the BFA.